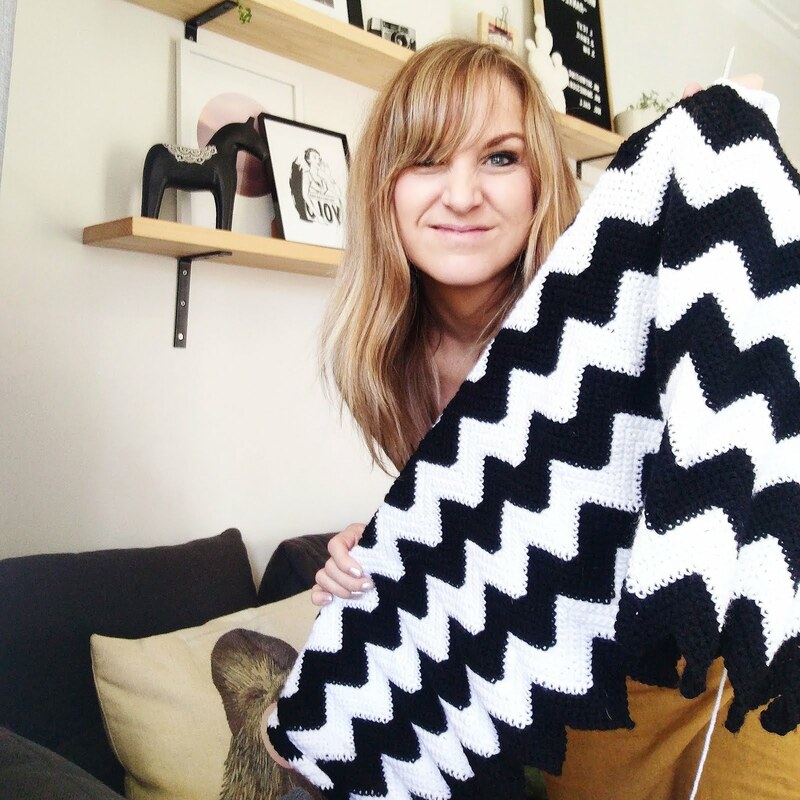 Call me crazy, but when I feel busy or stressed, I often bake or crochet (anyone else out there as crazy as me??). 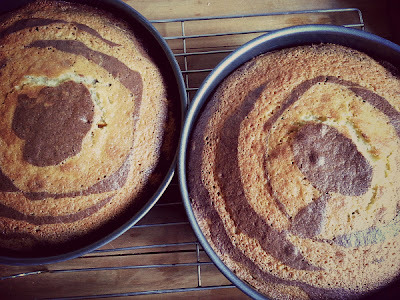 On the weekend (a very busy weekend I might add) I had the sudden urge to attempt a Zebra Cake. 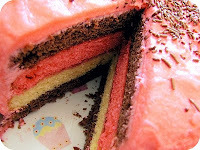 Now I'm the first to admit that mine doesn't look like a proper Zebra Cake (google it if you dare to see the really cool ones) as I definitely didn't take the time to do thin layers to get the proper zebra effect, but in saying that, I still loved the stripy effect of mine and boy it was delicious! 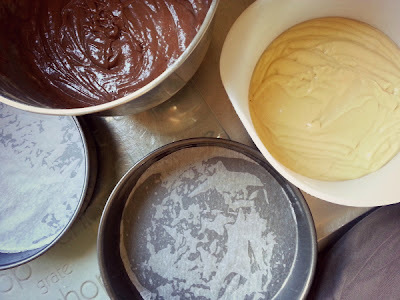 I used the basic cake mix I always use to make cupcakes, coconut/vanilla cakes and the fabulous Rainbow Cake, but did a double batch of the mix and added cocoa to one half. 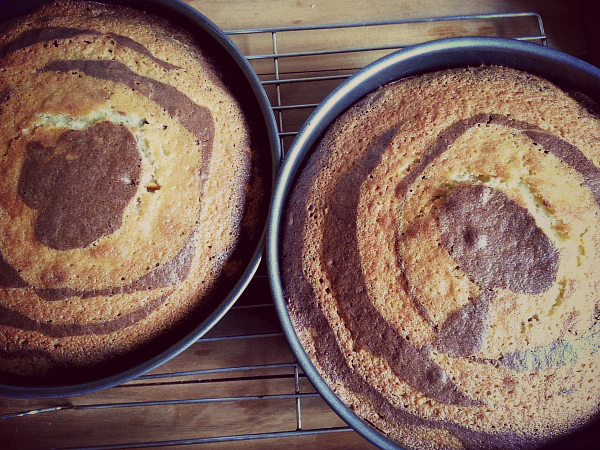 Cakes cooked, cooling before icing! Here is the recipe I used for the cake mix, but remember to double it and add cocoa to one half. Preheat oven to 180°C and grease and line your cake tin. You make such pretty cakes! Love it! What a great idea, clever lady! 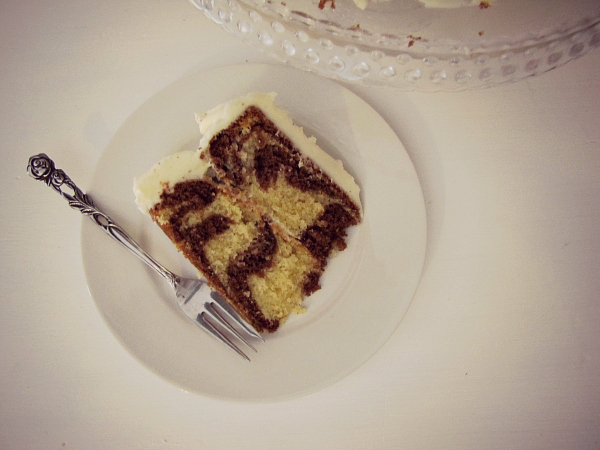 In Sweden we call it tigerkaka (tigercake) and we don´t have frosting on top. 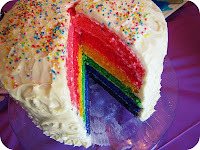 I`ve always wanted to try that rainbow cake, is it as good as it is beautiful? Love your cakes! And yes, I do crochet whenever I feel stressed! 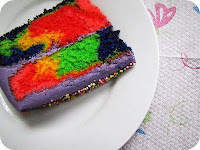 i think I will give this cake a try today. Looks yummy!!! 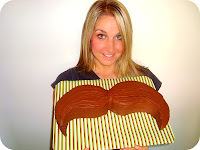 Wowee, it looks awesome - love how you never scrimp on the icing either...mmm mmm! 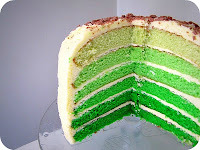 This looks DELICIOUS!!! Nom, nom, nom!! I love the little deer ornament, I have the black one on my desk at 'The Day Job'! 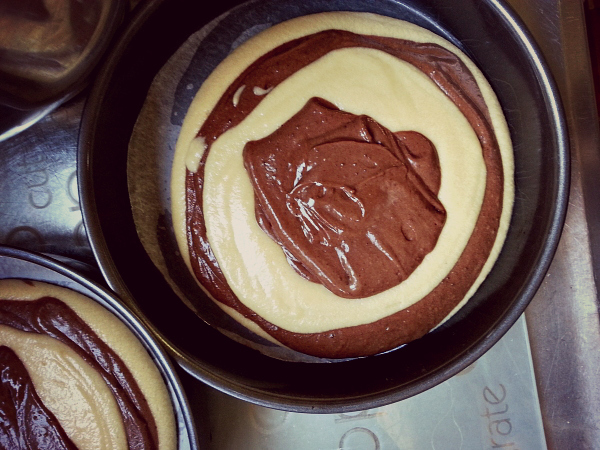 oooh we called that marble cake! 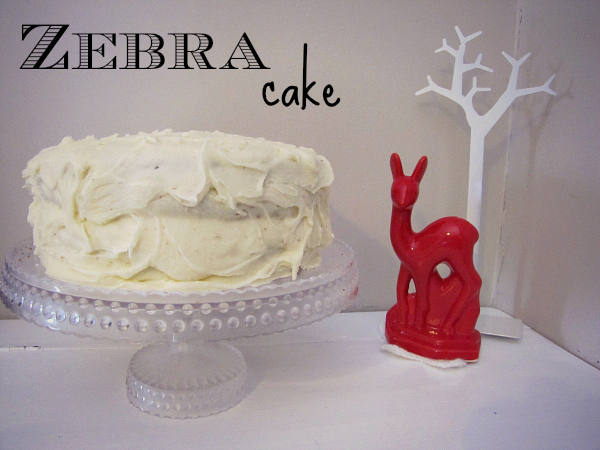 I like the name zebra cake though! Clever bakey girl! Yum, baked this cake this afternoon for husband's birthday. So good. Made it dairy free.